Maybe you have tried outbound marketing methods such as cold calling, direct mail or advertising to reach prospective customers and haven’t seen the results you would like. While these outbound methods have their place, they are becoming less effective as a stand-alone strategy. Outbound marketing methods used to work. Consumers had fewer choices of what they could purchase and how they could purchase it. They couldn’t go to Amazon to buy organic toothpaste in bulk. Instead they were restricted to the choices at the corner store. In traditional scenarios, marketers drove the conversation. They controlled the market, the message, and the channels. Today, consumers are driving the conversation and have a plethora of options when it comes to buying products and services. There are infinite channels through which we get information. We are no longer limited to traditional media, like television, print ads and radio. Because of the explosion of channels, it’s more and more difficult for marketers to interject their message without getting tuned out. Why? First, people don’t want to be interrupted in the middle of their busy day with pushy sales and marketing tactics from a business they don’t know or trust. Secondly, the growth of the internet has changed the game, forever. Did you know that 9 out of 10 people research online prior to making any significant buying decision? In their research they will visit your website, your competitor’s site, industry portals, social media and online review sites. People want to buy; they don’t want to be sold. So with all the static and noise your prospects hear every day and their ability to tune you out so easily, what is a busy small business like you to do? It’s time to turn up the dial on Inbound Marketing. Inbound marketing or “Permission Marketing”, as best-selling author and marketing guru Seth Godin has coined, has quickly become one of the most effective ways for small business to drive new business. Inbound marketing is based on attracting prospective customers to your website by having a strong presence on search engines (like Google), your blog, and social media. Inbound marketing is about making it easy for prospective customers to find you online and the value your products or services offer them. Contrast this to outbound marketing, which is about pushing your products and services to a mass audience and interrupting them to sell them. Modern marketing is all about attracting new and repeat customers through inbound channels. Inbound leads are often more qualified and the most inexpensive cost per lead because they found you based on their own research and buying path. In fact, inbound marketing costs on average 62% less than traditional outbound marketing (Source: Voltier Digital Infographic). 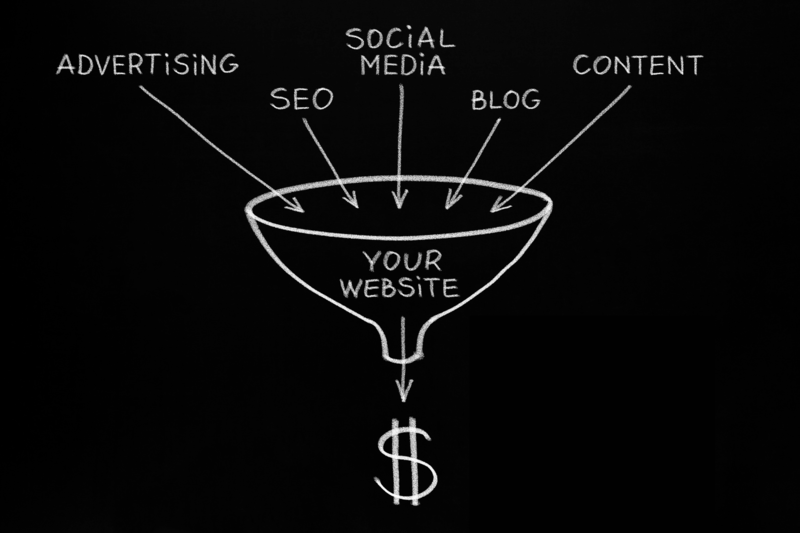 So what are the next steps to generating leads through inbound marketing? Check out our guide, “Getting Found: The Small Business Guide to Online Marketing” to learn how to use your website, blog and social media to attract more customers.